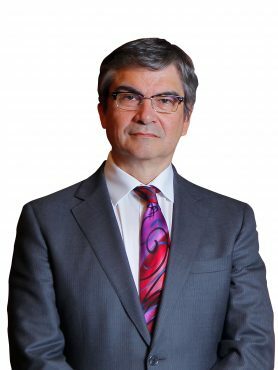 Mario Marcel Cullell was named Board Member of the Central Bank of Chile in October 2015. He has a Bachelor’s Degree in business administration from the University of Chile and a M. Phil. Degree in economics from the University of Cambridge, United Kingdom. Prior to his appointment to the Board, Mr. Marcel served as Director of Governance Global Practice at the World Bank in Washington, D.C., in the United States; Deputy Director for Public Governance and Territorial Development at the Organization for Economic Cooperation and Development (OECD) in Paris, France; and Manager of the Institutional Capacity and Finance Sector at the Inter-American Development Bank (IDB), where he had earlier served as Executive Director for Chile and Ecuador. For 13 years, he worked for the Government of Chile, where his senior positions with the Finance Ministry included Deputy Director of Rationalization and Public Function in the Budget Division, Executive Secretary for the Inter-Ministerial Committee for the Modernization of Public Administration, Chair of the General Government’s Internal Audit Committee and Chair of the Presidential Advisory Committee on Pension Reform. He was the Budget Director from 2000 to 2006, during which time he implemented deep reforms in the conduct of fiscal policy, government asset and liability management, the budget system and public administration. He has also worked as a researcher for the Center for Latin American Studies (Cieplan). His academic experience includes teaching and research at universities in Chile and the United Kingdom. He has also worked as a project consultant for a wide range of international and government organizations in countries such as Mexico, Colombia, Peru and Vietnam. Mr. Marcel is the author of over 80 published works in economics, finance, policy, and public administration.